Slideshow DVD Creator helps you create photo slideshow video and burn DVD video disc from your photo collections, video clips and favorite music as easy as 1,2,3. Designed for iMac, Macbook Pro and MacBook Air. Retina screen supported. Play photo with background music and videos clips from your iPhone to big screen TV with Chromecast.This app is for Chromecast. you can play photos from your iPhone camera roll with music to a TV screen with a few taps. 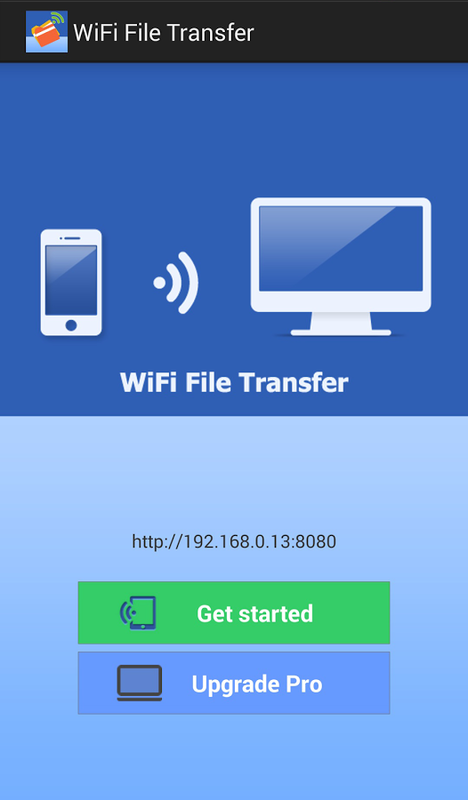 WiFi File Transfer for Android is the best way to manage your Phone/tablet files, photo and video wirelessly via Wi-Fi network.Manage you Android file system like Windows Explorer or Mac OS finder. You can copy,cut, paste files, delete, create directory. Wireless Transfer App is the fastest, most reliable wifi transfer app for Android. 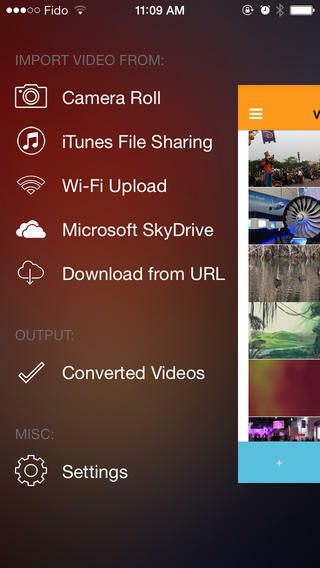 It helps you move photo and video between Android,iOS devices and PC via Wifi easily and quickly. 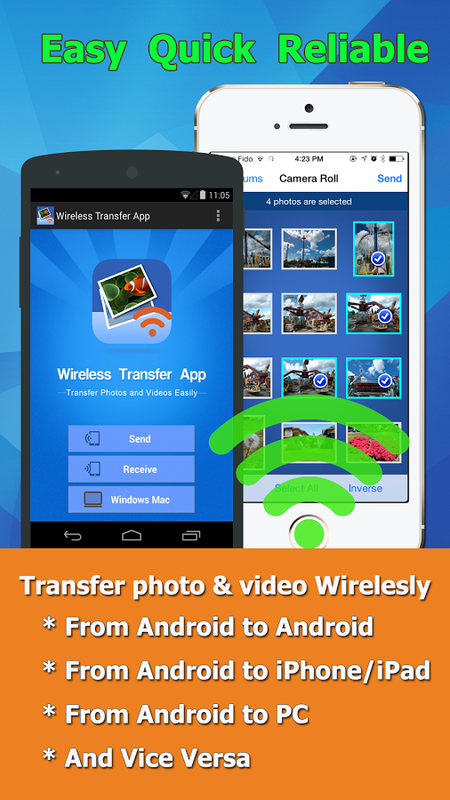 Wireless Transfer App transfer photo and video from one android device to another, to iPhone / iPad / iPod touch, to Windows Mac PC laptop & Vice Versa over Wi-Fi network. All photos and videos are copied wirelessly. No USB cable required. When you take photos or videos with your phone, it is very easy to copy them to other devices for sharing, editing,backup etc with Wireless Transfer App. And it is the most convenient way to wifi transfer dozens of photo or video between the devices of family members. This app is for Chromecast. you can play photos from your iPhone camera roll with music to a TV screen with a few taps. The photos will be shown on screen TV as a music slideshow video. You can show photo manually by swiping to advance, or you can set a duration to let the app show the photos you selected one by one. 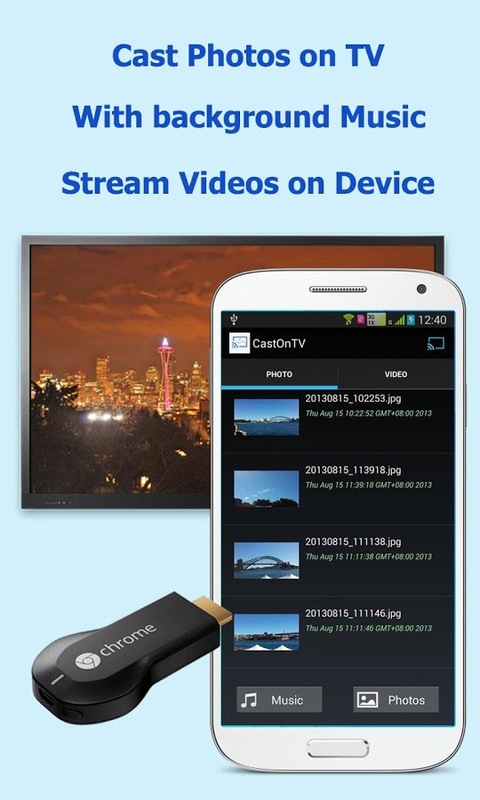 CastOnTV will also stream your video clips on your iPhone to TV screen with just taps on the video file. WiFi File Transfer. Best Android App for manage files wirelessly. WiFi File Transfer is the best way to manage your Phone/tablet files, photo and video wirelessly via Wi-Fi network. 1. Manage you Android file system like Windows Explorer or Mac OS finder. You can copy,cut, paste files, delete, create directory. 2. Download and upload files to/from PC with internet explorer web interface. No USB cable needed. If you have some memorable video clips shot with your digital camera, HD camcorder, tape camcorder or older cell phone and want to enjoy on your iPhone /iPod Touch or import to video editor app like iMovie, this video converter for iPhone app is exactly what you are searching for. Video Convert for iPhone App helps you easily transfer any video files stored in your PC to iPhone via Wi-Fi or iTunes File Sharing, then convert them to iPhone compatible formats, so you can play them on your iPhone or edit them with video editor apps like iMovie. Since the converted videos are in iPhone compatible formats, they can play smoothly on your devices. 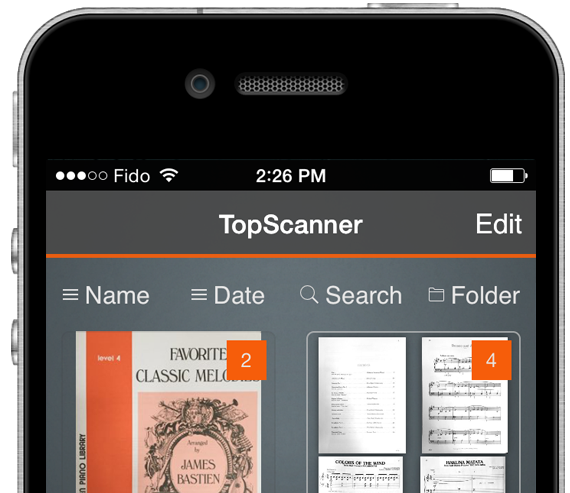 TopScanner App Turns your iPhone/iPad into a portable scanner. 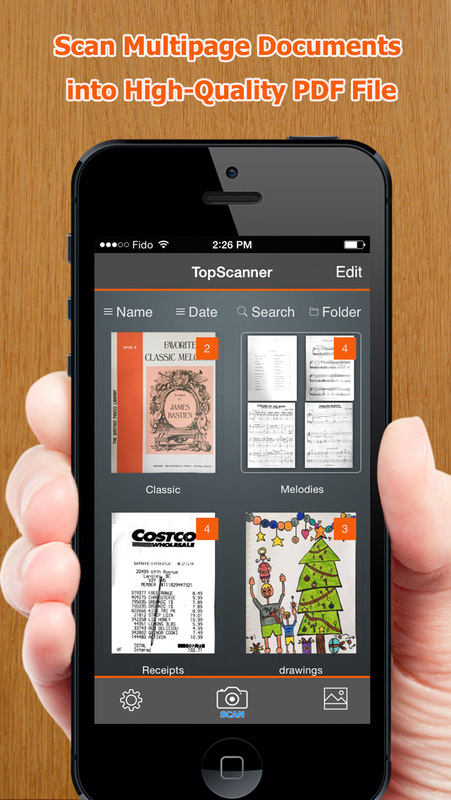 Scan receipts, book pages, whiteboard or any multipage documents int standard PDF files. 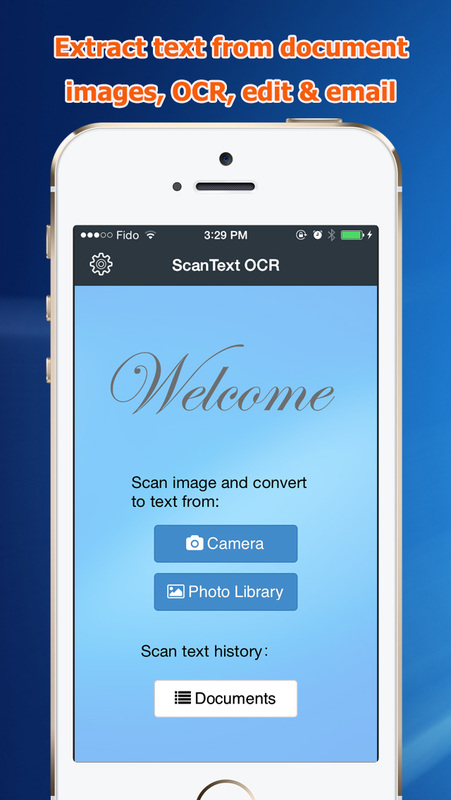 ScanText OCR App will read text from paper and translate the images into editable text. With ScanText OCR App, you can take a photo of book page, newspaper and then you will get the text that could be edited.